The Strand’s Millinery building in St Peter, MN was deemed structural deficient and had to be demolished. The owners of the Mom and Pop’s ice cream business decided to build a new structure and reached out to Langemeier Architects for the exterior design. With the help of GP Engineering, we designed a building that met the city’s historic guidelines with an exterior resembling the 1860’s. The building changed ownership in August 2017 and will now be opened as a floral, gift and art shop. 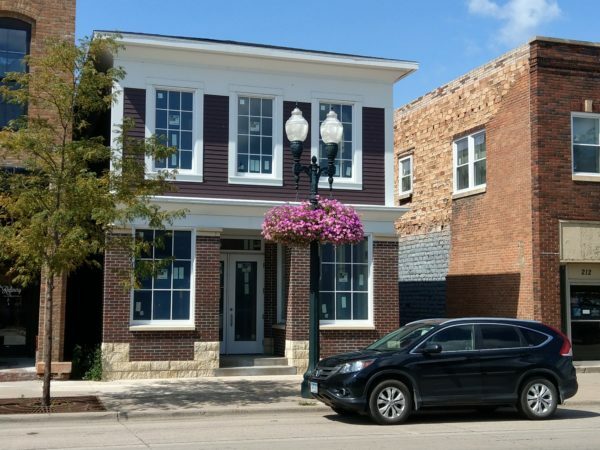 We are thrilled to help the Lavender and Linen business with their interior tenant build out. Stay tuned for photos of the interior construction! New floral, gift and art shop to open in Saint Peter, MN.